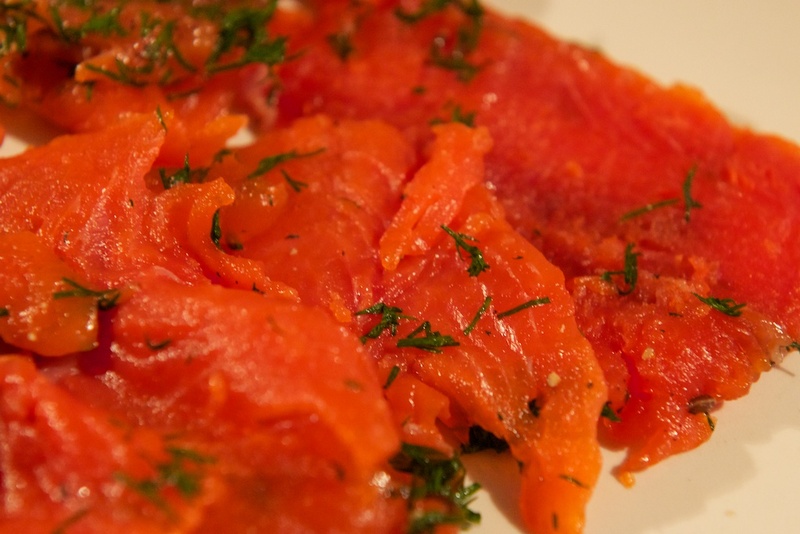 Gravadlax, sometimes called Gravlax, is raw, cured salmon. It’s Scandinavian in origin, and the salmon is kept in a mixture of salt, sugar and dill for a few days before being eaten. It’s also delicious. There’s a general belief that things like this can’t be easily made at home, and so instead, people pay out a small fortune to large corporations to buy a measly few slices of poorly cured salmon. It’s time we killed off these misconceptions. Gravadlax is simple to make at home. You need no special equipment other than a fresh fish and a sharp knife. If you don’t care about thin slices, you could even skip the the sharp knife requirement, and just hack at it with a spoon or something. There are many recipes for making gravadlax out on the Internet, and I’m sure you can easily find plenty. A few years ago, I wrote a post about making gravadlax – it was for a blog about an online game I used to play. That game was Glitch, which sadly closed down a little while back. It lives on, in spirit, in the form of Slack, the current favourite (and, I must say, excellent) communications tool for teams. Still, my Glitch Cookbook lives on, together with my recipe for gravadlax. Gravadlax is not difficult to make, it mostly involves waiting. If you make it yourself, the end result is almost certainly going to be better than the stuff you buy at the supermarket, and dramatically cheaper.